What are MSE Multiple Stabilized Enzymes? Product Comparison - Which One to Choose? Probiotics for humans have been all the rage lately, but we've recommended Natur's Way Pet Probiotics for YEARS! Why? Because they work! If your pet is struggling with digestive imbalance, is under stress or is on a treatment course of antibiotics, you need a pet probiotic to maintain the proper amount of “good” bacteria in the gut! A healthy digestive tract should contain around 400 species of microorganisms, that when working properly, form a protective barrier which stops pathogens from invading, thriving and wreaking havoc on your beloved pets' digestive system! Antibiotics kill protective organisms. 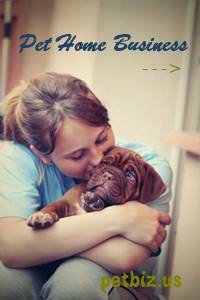 Take the natural approach and introduce probiotics into your pet's daily routine. 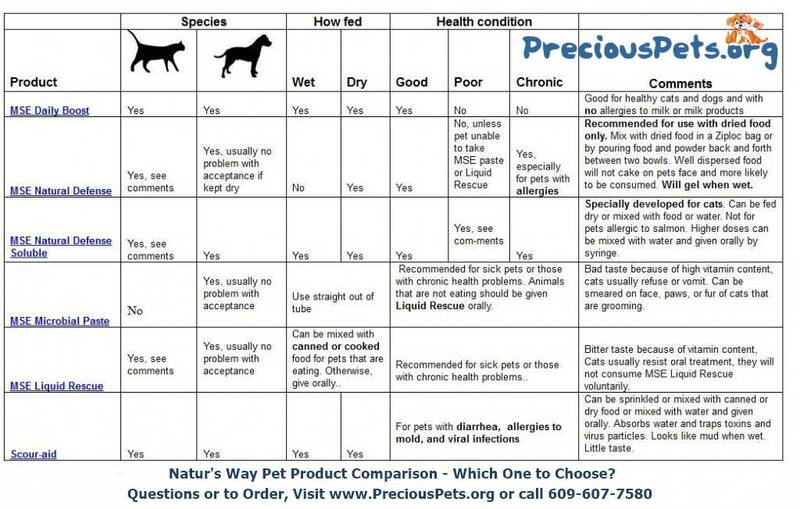 Why Natur's Way Pet Probiotics? If your pet is suffering from diarrhea, is sick or under stress, you must be his guardian and protect his gut from these threatening and uncomfortable illnesses! Discover why Natur's Way Pet Probiotics is the number one choice for both everyday stresses and major stresses. Learn more about the amazing benefits of Pet Probiotics by visiting our Natur's Way Product Page. Natur's Way Daily Boost - A highly palatable dry probiotic supplement intended to keep healthy pets healthy. This product is intended for daily use and protects against everyday stresses. 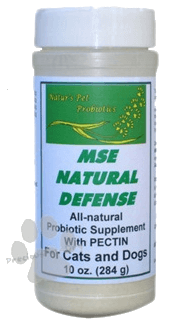 Natur's Way Natural Defense - Natural Defense help control loose stools and diarrhea, which are often a symptom of Exocrine Pancreatic Insufficiency (EPI), Irritable Bowel Syndrome (IBS) and Irritable Bowel Disorder (IBD). 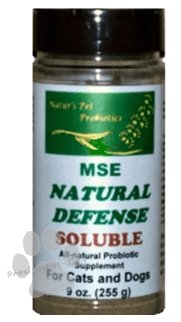 Natur's Way Natural Defense Soluble - Natural Defense Soluble was especially developed for finicky cats and dogs, and is a palatable probiotic for pets with allergies and other special needs. 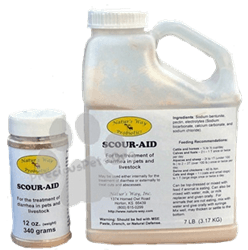 Natur’s Way Scour-Aid Natural Diarrhea Treatment - Scour-aid works in both dogs and cats and controls diarrhea no matter whether it is viral, bacterial, or protozoan in origin. Natur’s Way MSE Microbial Paste is a microbial product that is intended for ill or distressed animals. It can also be used as a precaution pre and post activities, or even during activities that cause stress to animals. 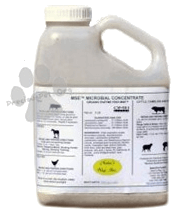 Natur's Way MSE Dry Microbial Concentrate is a dry feed-additive that is meant to be fed on a daily basis. Probiotic benefits including improved feed utilization and growth rate, and protection during everyday stresses such as weather and some handling. 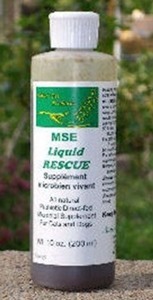 MSE Liquid Rescue is a liquid probiotic recommended for sick or stressed pets, and pets that undergo surgery or other stressful veterinary procedures, including vaccinations. Natur's Way Liquid Microbial Concentrate is just like our standard granulated MSE Microbial Concentrate, except it is in a liquid form that is also meant to be fed on a daily basis. 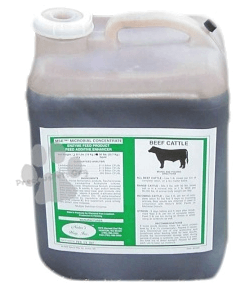 It can be either added to liquid feed, mixed daily into water tank or top-dressed (with or without mixing in water). 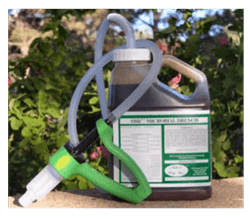 MSE Microbial Drench is basically a liquid version of MSE Paste, it is meant to be given to sick or stressed animals, or as a preventative before, during or after stressful activities. 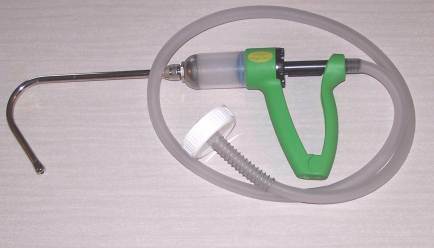 MSE Microbial Drench Applicator Gun is the heavy-duty reusable applicator gun that is suggested for dosing our MSE Microbial Drench.